Police sought an arrest warrant for the head of South Korea's major mobile carrier KT Corp. and three others on Monday for alleged involvement in the firm's illegal donations to lawmakers. 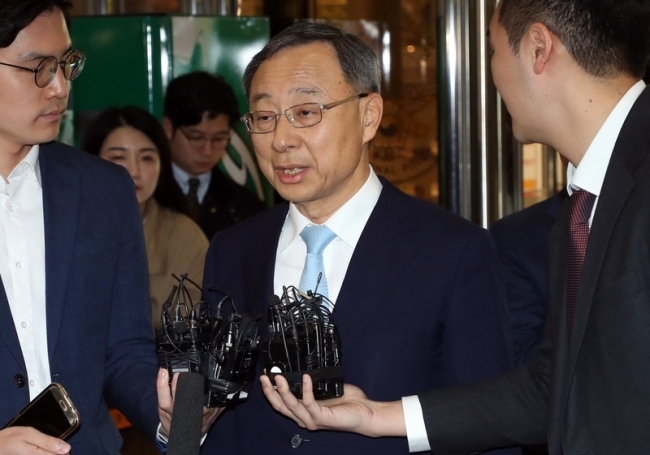 Seven former and incumbent KT executives, including Hwang, have been booked on charges of embezzlement and violation of laws related to political funding. Of them, police are seeking arrest warrants for four, the National Police Agency said in a briefing. They are suspected of creating 1.15 billion won ($1.04 million) in slush funds from May 2014 to October 2017 and of spending 442 million won of the money for illegal donations to 99 lawmakers. Police questioned Hwang over the allegations in April. They suspect Hwang either instructed them to do so or was briefed about it. He has denied the charges. Political fund law bans a registered firm or group from donating any funds to lawmakers. Donations made with company money are also forbidden. Police believe that the donations were given to lawmakers who belonged to the parliamentary committee in charge of telecommunications in return for legislation and policies favorable to Internet-only banking services, KT's newest business.